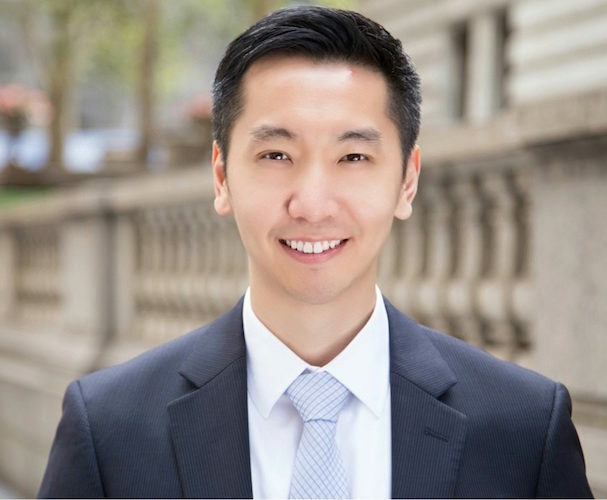 Student Robert Chen, WG’19, explains how a Wharton MBA can help “level the playing field” for first-generation college graduates. Robert Chen, WG’19, was the first generation in his family to finish college. His parents grew up in Hong Kong, leaving China where the Cultural Revolution prevented them from pursuing higher education. When Robert was 5, his family emigrated to New York, and he later attended Cornell University. He is currently a student in Wharton’s MBA Program for Executives. He explained, “Being the first in my family to finish college and go on to graduate school has revealed to me just how much you don’t know what you don’t know. That’s always a challenge when you don’t have others to guide you through the process. Growing up, I guessed my way through important decisions like applying for financial aid and choosing majors because my parents hadn’t gone through that themselves. If you don’t know how the world works, it can impact the choices you make because you don’t know what the best choices are,” he said. “My advice for new students is that once you are here, reflect on where you came from and where you want to go and take advantage of all the knowledge, tools, and resources offered to get the most out of opportunities for personal and professional growth,” he said.